I have to admit at the start of this article that I clicked on the video because I saw a Sikh man dressed as Captain America and thought it was pretty funny. Only after watching the entire video did I realise the moral behind it. 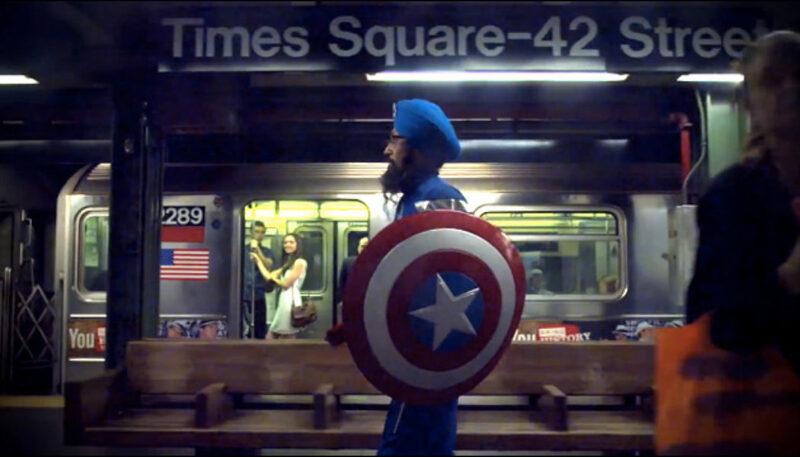 Mr. Vishvajit Singh, a 43 year old software engineer, walks around the streets of U.S in a Captain America costume with the sole purpose of promoting religious tolerance. In this short clip below titled “Red, White and Beard” you see Vishvajit in his Captain America uniform documenting people’s reactions and also asking them what they thought of his version of the superhero Americans love all so much. Here is just another video I found online while I was reading up about the Sikh Captain America. About halfway into this video there is a part when Vishvajit explains how he was born in the U.S and is as American as anybody else–that I thought was well said and drove home his point. I for one think this is a really interesting idea (also cause I walk around Connaught Place with my blue batman mask from time to time) and hope that you guys think the same. 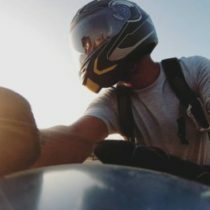 So why don’t we subscribe to his youtube channel, like him on facebook or just browse through his website to show our support.